Use our directories to search for doctors, specialists or hospitals that accept The Health Plan insurance. Access Scion Dental's website to find participating dental providers. Access Superior Vision's website to find participating vision providers. Don't know what plan you have? Enter your member ID below. 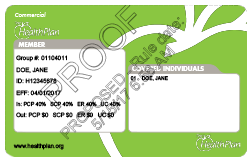 This information can be found on The Health Plan ID card. To view the most recent network pharmacies in your area, please register with Express Scripts. Provider participation may change without notice. The Health Plan does not provide care or guarantee access to heath services. Nominate your health care provider if they are not participating in our network. Not a THP health care provider but would like to join us? Great! Promotes improvements in the safety of health care by giving consumers data to make more informed hospital choices. Your Commercial ID card will have the word "Commercial" in the top left corner. 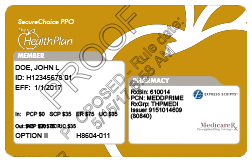 Your Medicard ID card will have word the "Medicare" in the top left corner. 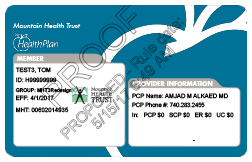 Your Medicaid ID card will have word the "Medicaid" in the top left corner.